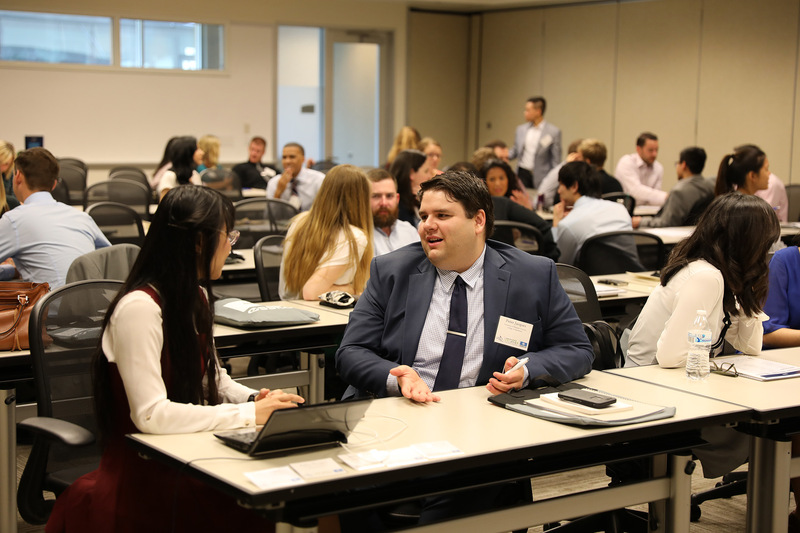 Forty-four optometry students and recent graduates converged in Dallas, Texas to discuss the future of private practice during the 7th annual Student Private Practice Leadership Conference June 8-10. Put on by SOLutioN—the Private Practice Student Optometric Leadership Network—and sponsored by several industry partners, the conference brought together the incoming and outgoing presidents of private practice clubs from optometry schools all over the country. Together, they gained insight into students’ options after graduation, and networked with fellow students—and future doctors—aiming to shape the future of optometry. The conference included several guest speakers from all walks of the eye care industry—from doctors who have opened their own private practices or taken other professional paths, to partners offering advice on how best to break into the industry as a young doctor after graduation. Dr. Sloan Rajadhyksha, the newly elected SOLutioN president, said that board members putting the conference together each year hope to enrich students’ knowledge in business management, and provide them leadership skills to share with their clubs. For many, the conference was just as much about learning from their peers as from speakers. SOLutioN as an organization, and as a conference, was created to bring together leaders of optometry schools to discuss private practice opportunities, and it has grown every year since its inception. Dr. Nguyen said the conference also represented an opportunity that current doctors wish they had when they were students. For more information on SOLutioN, click here. VSP Global is a registered trademark of Vision Service Plan. All other brands or marks are the property of their respective owners.